No matter how they happen, catastrophic injuries have tremendous consequences on entire families in Hawaii. Our law office, Cynthia K. Wong Attorney at Law, is there to help with the physical, emotional and financial aftermath of serious accidents that occur as a result of someone else's negligence. With more than 24 years of legal practice, Ms. Wong is by the side of victims of automobile collisions, highway design and maintenance defects, slip and falls, premises and products liability and medical malpractice. She is one of few women attorneys who litigates personal injury cases. People choose our law office because of Ms. Wong's unrivaled work ethic, client-first attitude, photographic memory and extensive litigation experience. Ms. Wong has handled over 20 civil judge and jury trial cases, as well as over 100 criminal trials, which is more than most lawyers in Hawaii. 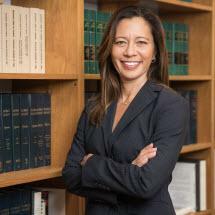 Although she is a strong litigator, our attorney is equally effective in alternative dispute resolution techniques such as mediation and arbitration. Having been featured as one of Hawaii's best lawyers in Honolulu Magazine and US News and World Report, Ms. Wong goes above and beyond for her clients. After accepting a case, her first priority is to get people the comprehensive medical treatment they need. She collaborates with physicians to determine the best way to help victims of accidents and to gain a full understanding of the nature and extent of injuries, including all future impacts. Ms. Wong evaluates cases and offers her honest and candid opinions about the litigation process. She offers free initial consultations and will review all types of personal injury cases.